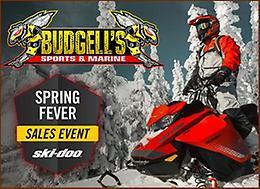 4-Year Coverage, No Down Payment and No Payment for 12 Months on All 2020 Ski-doo's. There's never been a better time to get a new 2020 model Ski-doo! Brand new top terminal car battery. Never installed. Still has warranty. Bought for 2008wave but car gave out so never installed. 2003 Toyota Celica 140 1zz standard transmission with 6 speeds, the car has 220000km and going strong, also has full inspection. The car is totally restored with a new paint job. no rust. 5000$ also the car always was stored for the winter!!!!!!! EDUCATIONAL: VTECH LITTLE SMART SCHOOL YARD, TEACHES LETTERS, SOUNDS, WORDS, NUMBERS, SEASONS, ETC. VTECH SMARTY PAWS REMOTE CONTROL LEARNING CAR, COLORS, SHAPES WITH LOTS OF FUN. THOMAS ABC LEARNING TRAIN, AND MICKEY TOILET SEAT. ALL ITEMS LIKE NEW, CLEAN AND WORKING PROPERLY. - FROM A SMOKE FREE AND PET FREE HOME $30. - FOR THE LOT. LOCATED IN KILBRIDE. Available June 1 – 1 bedroom basement apartment. Located in the west end of St. John’s, this 1 bedroom, 1 bathroom basement apartment is $875/month with heat, light, fibre op tv (with PVR) and wifi included. Located on a bus route, close to both malls, as well as three grocery stores. The apartment offers a large kitchen, storage room and parking for two cars (or one large truck). Brand new laminate flooring in living area, hall and bedroom. Comes furnished with a kitchen table and chairs, pantry cabinet, and microwave cart. Washer and dryer shared with upstairs tenant. NO SMOKING. Pets may be negotiable. Serious inquiries only. A damage deposit will be required and references may be required. Viewings available after May 15. To any antique car dealers!!!! A back window to fit 1968-1969 Olds Cutlass hard top. Serious inquiries only. Call 683-7279. BUY HERE PAY HERE 2009 Pontiac G6 GT 113Km, Auto, 2 Door, Loaded ! INSPECTED ! FOR SALE ------- 2 / 16'' AND 1 / 15'' MAZADA HUBCAPS $20 EA IN THE FIRST PIC R ( SOLD ) ////// 2 / 15'' / FORD HUBCAPS $20 EA. /////// 4 /14'' / FORD HUBCAPS $20 FOR 4 ////// 4 / 13'' / HONDA HUBCAPS $20 FOR 4 ////// 4 /15'' DODGE CARAVAN HUBCAPS $20 FOR 4, 2ND LAST PIC, ////// 4 / 15'' OLDSMOBILE HUBCAPS FR A 1990's CAR $20 FOR 4, LAST PIC. ////// 2 / 16'' FORD HUBCAPS $20 EA. NO PICS. /////// ALSO OTHER SETS OF 4 & MISC HUBCAPS NOT IN THE PICS. 1994 Dodge Stealth. Trades possible. 1994 Dodge Stealth with very little rust, only minor rock chips in paint. It has a v-6 Mitsubishi motor that purrs with a deep rumble, nice machine. New tires and new brakes with new rear rotors. May be willing to trade, looking for a snow plow or possibly a 16-18 foot boat with outboard motor and trailer. Please call Bill 427-7337. Car will gain Antique status in the spring.